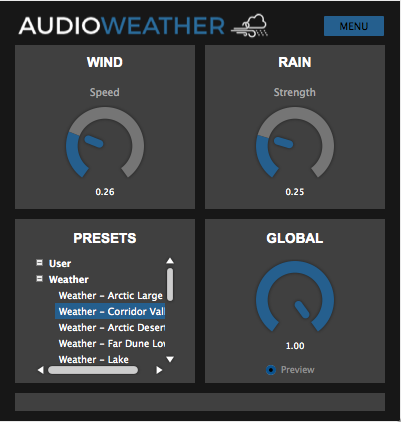 AudioWeather is the DAW plugin version for Le Sound’s renowned dynamic weather system for game audio. It demonstrates how AudioWind and AudioRain can be linked with an intelligent weather model. The goal is to allow sound designers rapidly shape the weather synchronous to the video images, saving tedious hours of manual editing of recordings.